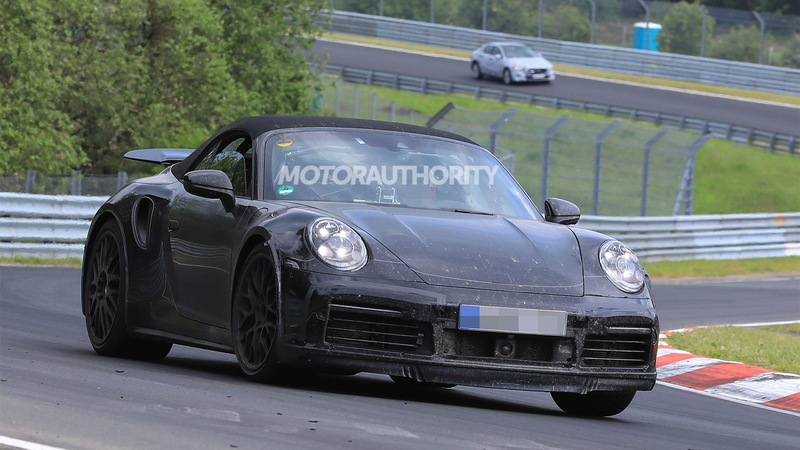 Porsche is out testing a new generation of the 911, the 992, and the latest prototype spotted is for the car's Turbo Cabriolet variant. 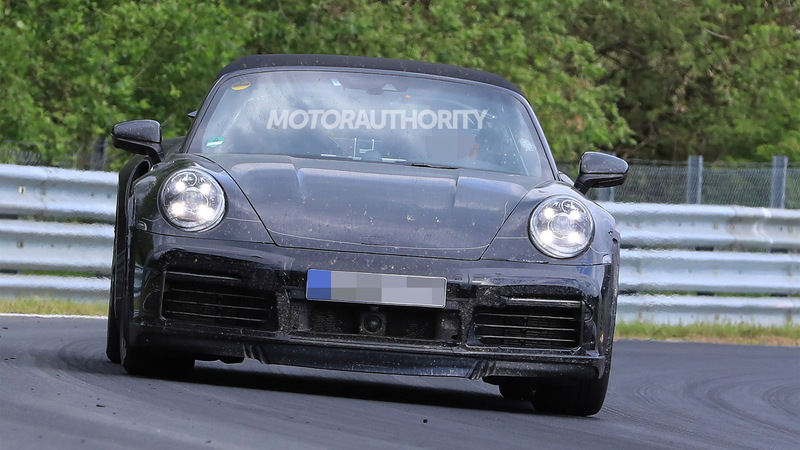 The new 911 will be revealed late this year or early next, initially in Carrera and Carrera S guises. The 911 Turbo should trail the basic models by six months to a year. We expect it to go on sale in the United States late next year as a 2020 model. 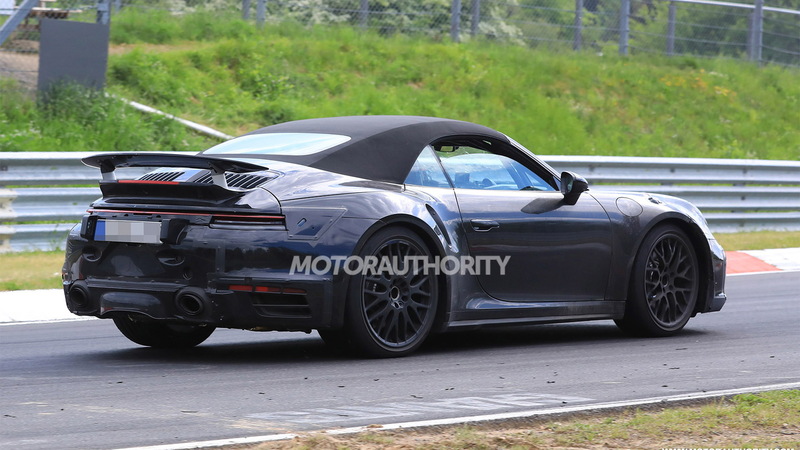 2020 Porsche 911 Turbo Cabriolet spy video from Motor Authority on Vimeo. 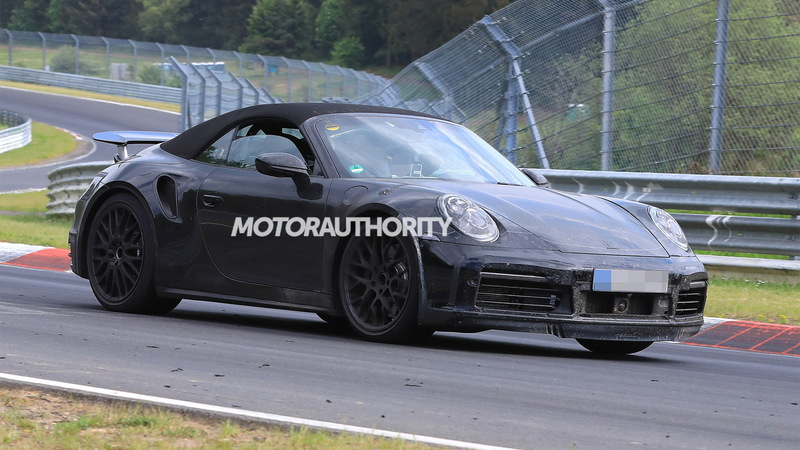 The prototype may look like testers for the Carrera Cabrio. 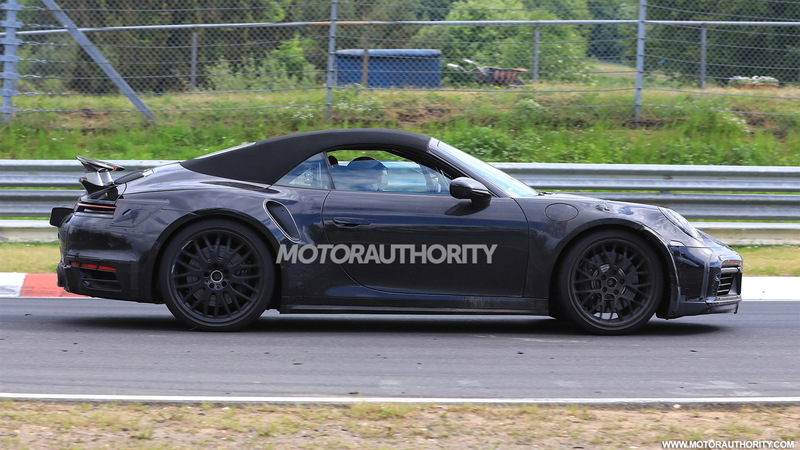 However, a number of clues identify it as the Turbo Cabrio. The pumped fenders are housing a widened track, while the gaping hole in the flanks and the cooling vents at either side of the rear fascia indicate an engine with extra potency. This prototype still sports a pair of round exhaust tips but on the final model should be a set of quad-exhaust tips with a squared-off design. The powertrain for the new Turbo will be a twin-turbocharged flat-6, as was the case for its predecessors. With the current Turbo putting out 540 horsepower, expect this new one to have something in the 580-600 range. All-wheel drive and rear-wheel steering will be standard. Though yet to be confirmed, it’s possible the Turbo S will pair an electric motor with the twin-turbo engine to deliver something approaching 700 hp. Recall, Porsche is once again open to electrifying the 911, and the next Turbo is a good starting point. It fits with Porsche’s top-down strategy for electrification, which has seen a hybrid powertrain used for the range-topping Panamera Turbo S E-Hybrid. Other Turbo-spec upgrades over the Carrera should include stiffer suspension, carbon-ceramic brakes, and more complex aero.